It has been a banner year for the United Soccer League (USL). 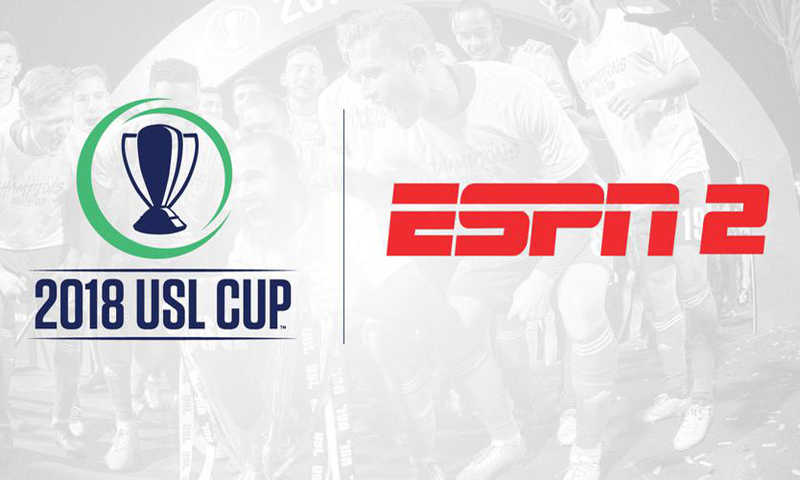 With league-wide attendance up 14% over last year across its 33 clubs and more than 500 matches distributed across ESPN+, USL is poised for a compelling final on Thursday night that, for the first time in league history, will air on ESPN2 (8 p.m. ET). USL Cup, with defending champion Louisville FC pitted against soccer legend Didier Drogba and Phoenix Rising FC, will serve as a fitting exclamation point to a campaign that has seen the USL dramatically increase its live-video-production efforts through an innovative and aggressive approach to at-home (or REMI) production. 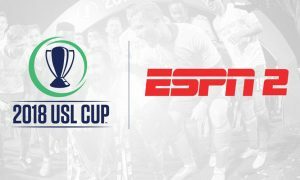 Using a centralized facility in Fort Lauderdale, FL, built by league technology partner Vista Worldlink, USL was able to produce a whopping 515 matches for live viewing and was one of the first sports brands to launch alongside the ESPN+ streaming service when it became available in April. For USL VP, Broadcasting, Brad Baker, the scale and (perhaps most important) the consistency of live match programming that the league churned out throughout the year has been a big driver of the league’s increased success. With the centralized facility connected to many of the league’s venues across the country, USL is able to save on staff travel and streamline its production staffs by deploying only camera operators and a couple of support personnel onsite. That has made it possible for matches that normally would not have the resources for live coverage to be made available to a national streaming audience via ESPN+. Thursday’s match will be an onsite production with facilities still provided by Vista Worldlink. Gear includes a total of 11 cameras to capture the action and eight replay sources. The league welcomes an improvement in the venue. Louisville FC — which typically plays its matches at Louisville Slugger Field, a Minor League Baseball stadium — will instead host USL Cup at University of Louisville’s Lynn Stadium, a soccer-specific facility that will offer significantly better camera positions than are typically available for a Louisville FC regular-season match. The venue also holds a capacity of 5,300 for soccer, and, for Louisville FC, which averaged more than 7,800 in 2018, Thursday’s match is certain to be a packed house. Cohen will sit at the front bench of Thursday’s broadcast as USL Cup director for the fourth consecutive year, alongside producer Dana Rubin, who returns to produce her second USL Cup. The match will be called by play-by-play man Michael Watts and analyst Devin Kerr (both with deep USL ties), along with sideline reporter and halftime-show host Julie Stewart Binks.